On April 3rd & 4th a site visit team from the Council for the Accreditation of Educator Preparation (CAEP) will be in Norman Hall as part of the COE’s national re-accreditation process. While formal meetings have been scheduled with various COE faculty, staff and students as part of the visit, site team members may also be walking around the building and informal talking with students, staff, and faculty. The site visitors may choose to observe classes that are in session, have conversations with students and instructors before and after class, stop by open offices, and talk with students in common gathering spaces. The site visitors will be interested in hearing about your course work and field experiences in a UF educator preparation program. 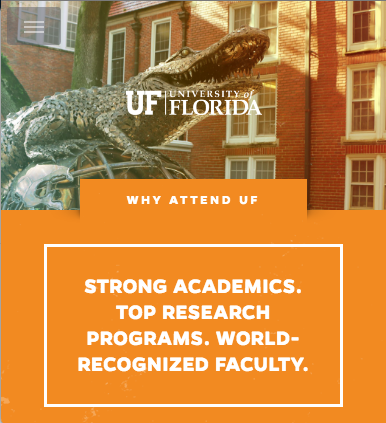 If you happen to cross paths with the visitors, please take the time to welcome them to the UF College of Education and to respond to their inquiries. We are proud of the energy, dedication, and accomplishments of our students – and know that the site visit team will be equally impressed. 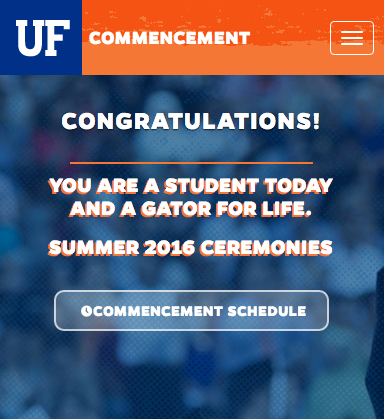 Go EduGators! The UF Teaching Center offers this workshop Monday through Thursday, March 27-30, from 5-7 p.m. each day. The Math sessions are Monday & Wednesday, and the Verbal sessions are Tuesday and Thursday. You can register for just the math sessions, just the verbal sessions, or all four. Go to www.teachingcenter.ufl.edu, then “study skills” then “workshops” to register and learn the workshop location. Please join the American Society for Engineering Education for a Meet and Greet with Dr. Luis Martin-Vega, the current national ASEE president and Gator alum. The date is April 6th, 9am – 11am in the Mathews Suite of the Reitz union. Refreshments will be available. UF’s Writing Studio offers free one-on-one writing tutoring for all UF students. Our tutors are mostly graduate students, and they work with students from freshmen to grad students, from all fields, and on documents ranging from one-page memos to dissertations. We help many students with personal statements and application essays for graduate school, too. We provide half-hour appointments; we are open at our main office M-F from 10:00 – 4:00, and in Library West M-R from 5:00 – 8:00 in the evening. 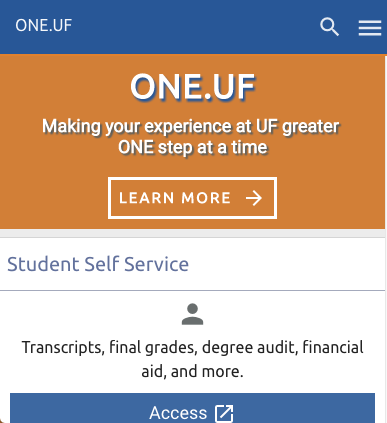 To make an appointment, go to our website at http://www.writing.ufl.edu, choose “Writing Studio,” and you’ll see directions on how to make appointments. Attention Undergraduate non-computer science students – Compensation $20. Interested participants, please click here. Graduate Student Appreciation Week is a chance for the university to give back to our amazing graduate student body for all of the work they do teaching, researching, and serving. During the week, graduate students will have the opportunity to engage with organizations and people all over campus through Graduate Student Research Day, workshops, and events like an Ice Cream Social. Click here to view the GSAW event schedule. Lambda Psi Chapter of Delta Sigma Theta Sorority, Inc. would like to cordially invite you to our annual philanthropy Gator Nation Field Day! This staple program serves to unite University of Florida students with the Gainesville community through a dialogue about physical and mental health. This year we will raise awareness for Autism! Please see the attached invitation. In addition to supporting a great cause this is a great opportunity to network with many organizations from across campus that participate every year. You can register now at lpdst.com. We look forward to celebrating with you, and we can’t wait to see you there! Early bird rates end April 24th. Click here for conference details. COE Students – We welcome you to attend this year’s College of Education Career Fair and lead-in events! The Careers in Education Fair will feature over 50 recruiters from public and private schools in Florida and from surrounding states. Please see the flyer for event details. Hope to see you there! Online recruiting event for educators – Featuring jobs within school systems, colleges & universities nationwide. Click here for complete details. Pre-register at www.sbac.edu. Come prepared to interview! More details here. anxious to interview candidates with the following certifications: Elementary Education K-6, English 6-12, Exceptional Student Education K-12, Math 5-9, Math 6-12, Reading K-12, Guidance and Counseling K-12, Foreign Language – Spanish K-12, All Science Certifications (including Biology & Chemistry). Pre-registration for the event is required. More information pertaining to our Districts, the event, and registration process can be found on the attached flyer and on our website. Is a Heartland District right for you? Watch our video to obtain more information about teaching in Heartland. Volusia Schools Instructional Job Fair – Teach by the Beach! We are interested in all education majors as well as subject area majors: Biology, English, Chemistry, Physics, Social Studies. Calling all Early Childhood Special Educators! Since 1962, Kindering has been providing life-changing interventions and therapies for infants and young children with disabilities and their families. Located in the Crossroads neighborhood of Bellevue, Washington, Kindering is at the heart of the rapidly growing Greater Eastside of Seattle. The depth and scope of services provided at Kindering is unmatched. Our core – Early Intervention – helps 2,000 children with disabilities reach critical developmental milestones each year. Additionally, we offer specialized therapies for children with Autism Spectrum Disorder, children in foster care, consultation for local childcare centers and other wrap-around programs support families, siblings and caregivers of disabled children. See attachment for further information and to apply. General Counselors at Winadu are the heartbeat of camp, spending their day with campers and participating in all the activities Winadu has to offer. All in the same day, a General Counselor can be coaching flag football, spending time at the lake and participating in a campfire. General Counselors make activities fun and encourage campers to participate. The ideal candidate will be high energy, fun, comfortable trying new things, and embrace our motto “Building Character Through Sports.’ General Counselor should enjoy working with children, have a high level of patience, a solid work ethic and be open minded. We offer a competitive salary (based on experience), generous travel stipend, and all room and board expenses. Winadu is approximately 3 hours from Boston and NYC. Camp Winadu has the quality instruction of a specialty sports camp and the traditions, robust program and special events of a traditional overnight boys summer camp. Camp Winadu’s mission is building character through sports and it is seen and felt in everything we do. For a peek at our camp community and facilities visit our website to see what you could be a part of this summer. View one of last summer VIDEOS here. Cedar Key is looking for two interns to lead K-high School age in a summer camp this year. Experienced student(s), who can lead, interact and plan appropriate lessons for students in this community. It is a great opportunity to help a community and gain experience in your field. Tentative week will be 2nd week of June (June 12 – July 28), 40 hour week – 4-day week (Mon- Thurs), paying $10.00 an hour. Please contact Sue Colson at suecolson@bellsouth.net or 352-477-0136 if you are interested in more details. Now’s the time! Hillsborough County Public Schools is recruiting talented teachers with a passion for urban education. Successful applicants for the 2017-2018 school year will share a commitment to excellence and a belief that every child can learn. We have over 230 urban, suburban, and rural schools from which to choose throughout our school district. Click here to view videos, register for events, and much more! US Chemistry (grade 10) and MS (earth science or physical science), full time. At least two years of experience is preferred, but not required. US Chemistry/Biology for a maternity leave (start of school in August into September–approximately 4-6 weeks). This fall internship will offer students negotiable flexibility in terms of topical focus and specific forms of work output (e.g. more interviewing, vs. more podcasting, vs. developing teaching modules, vs. helping with press releases and social media), but will continue to provide impactful experiential and service learning opportunities in oral history fieldwork and digital humanities production. See attachment for additional details. America Reads is federal work study funded organization. We focus on improving the reading skills of children grades K-5. We currently tutor at 3 local elementary schools during school hours only. We are currently seeking to hire/train tutors this semester so they can begin tutoring Fall 2017. Minimum availability is 3 days and 8-10 hours ranging from Monday-Friday only. Starting pay rate is $10/hr. 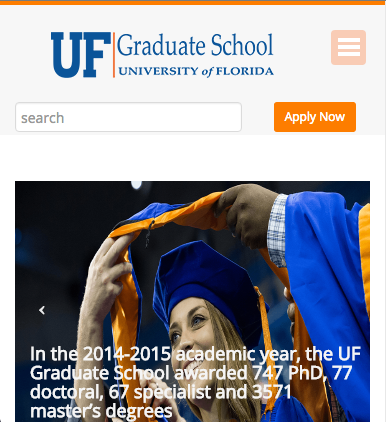 Visit https://education.ufl.edu/america-reads/employment/​ to fill out an application and please email it to read@coe.ufl.edu. Feel free to email with further inquires. Our internship program offers students of all majors the opportunity to gain employment experience in the business of book publishing. Students should complete the application form located on the University Press website. The Chemical Educational Foundation® is a national nonprofit organization devoted to enhancing K-8 science education and opportunities. CEF has openings for our STEM teacher trainer program in Gainesville, FL. Our teacher trainers are experienced formal or informal educators of all backgrounds nationwide who conduct hands-on professional development workshops in their communities. Candidates accepted into the program will receive an expenses-paid trip to Washington, DC, for the Training Conference this July and hourly payment for each workshop they conduct. In addition, this is a great leadership opportunity and enables an educator to bring high-quality STEM programming, training, and resources to educators near them! Interested or know someone who might be? Complete the short application here. Applications are accepted on a rolling basis but the training class is likely to fill by the end of the month. Contact Ariel Simons, asimons@chemed.org, with questions. Mater Academy Charter Middle High School is an “A” Ranked College Preparatory Middle-High School in Miami-Dade County. We are ranked among the best high schools in the nation by US News and World Reports and Newsweek. We are beginning to interview potential educators for the 2017-2018 school year. We are seeking Full-Time Middle and High School Physics, Computer Science, Chemistry, Biology, and Mathematics Teachers. Additionally we are interested in school counselors and several other subject areas. Interested applicants should send their resumes to mmontero@materacademy.com. In search of after-school babysitting for three children ages 9, 8, and 3. They love to be active and play outside. Pay will be $12/hour. Need someone who will be available for the entire summer semester. Please contact me if interested and we can work out a schedule. Kelly Acosta at 978-828-8893 or email kacosta@ufl.edu. Two boys, ages 10 & 12 to be brought and picked up from school starting May 1st and ending June 2nd. We do not need anyone Wednesday afternoons. The boys go to different schools but they are a few blocks apart. We need our sitter to come to our home at 7:15 each am. Youngest needs to be at school prior to 8:00am and oldest needs to be at school by 8:50am. Pick up starts at 3pm for the youngest boy and the oldest boy is picked up at 3:15pm. On most days they just come home and their father is there by 4:30. On Thursdays, they go to appointments at Magnolia Park after school and then come home. Please email michelesstone@gmail.com if you are interested. Summer assistance may be needed as well but the times will be different. Salary is commensurate to experience, and will go up over time. Training takes several months to complete.